In the fuels business, a scalable and sustainable solution needs to balance three different aspects of efficiency: emissions, energy, and cost. It needs to be able to minimize negative impacts, given the energy requirements and the characteristics of the existing vehicle fleets and infrastructure. Ethers, when used as fuel oxygenates, achieve all these objectives simultaneously. 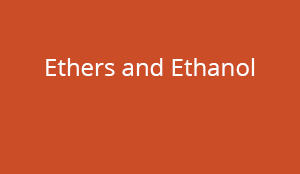 It’s the intersection between the three efficiencies that has made ethers the preferred clean-burning, high-octane component in fuels blending worldwide. More than 60 countries worldwide use ethers as gasoline oxygenates. 15 out of the top 20 gasoline-consuming countries use ethers as fuel oxygenates. Policymakers, fuel producers, vehicle manufacturers and, of course, gasoline consumers face a tough challenge: making sure that an increasing amount of energy needs are met, while complying with a growing number of restrictions that get stricter every time. Whether the goal is protecting the environment, making the most of energy resources, or decreasing financial cost to consumers, aiming to reduce total effective activity does not seem like a plausible solution for the fuels market. A real solution makes sure that waste is minimized, making more opportunities available with the same amount of resources. Just as in other industries and sectors, doing more with less has become the priority in the fuels industry. Unidimensional efficiency, however, is an incomplete answer, at best. No matter how cheap it is, fuels component that harm the environment or wastes unnecessary amounts of energy (such as tetraethyl lead, back in the 1980s, or olefins, aromatics, and high-sulfur blends) tend to be replaced by better, cleaner products, like high-octane ethers. In the same way, “renewable” alternatives that either increase air pollution risks or put vehicles or infrastructure at risk, tend to hit blend walls, or simply fail to attract technical support. Such is the case with ethanol that, despite being a renewable fuel, is simply not preferred over ethers, as the global auto industry has explained, and is typically used only in land-abundant countries that have traditionally been net importers of hydrocarbons. In the fuels business, for a solution to be scalable and sustainable, it needs to balance three different aspects of efficiency: emissions, energy, and cost. It needs to be able to minimize negative impacts, given the energy requirements and the characteristics of the existing vehicle fleets and infrastructure. 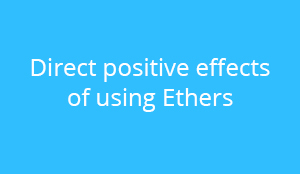 Such is the case of ethers. 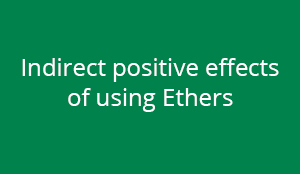 With the sensitivity to the three different kind of efficiencies bound to increase, the use of ethers is attracting new attention.